Our Tildie’s Team Members are experts in careful & neat gift wrapping. We love making your gift look extra special! We want to thank you for promoting PLAY with us. Sign up for a Play Pass and earn Play Cash every time you shop! The easy way to ensure your little ones (and you!) receive just the right gifts. We invite you to stop in and fill up a Birthday Bin with all of your little ones wish list items. Friends & Family will easily be able to choose a gift from the bin, minus the guesswork! You can even earn $5 Play Cash! 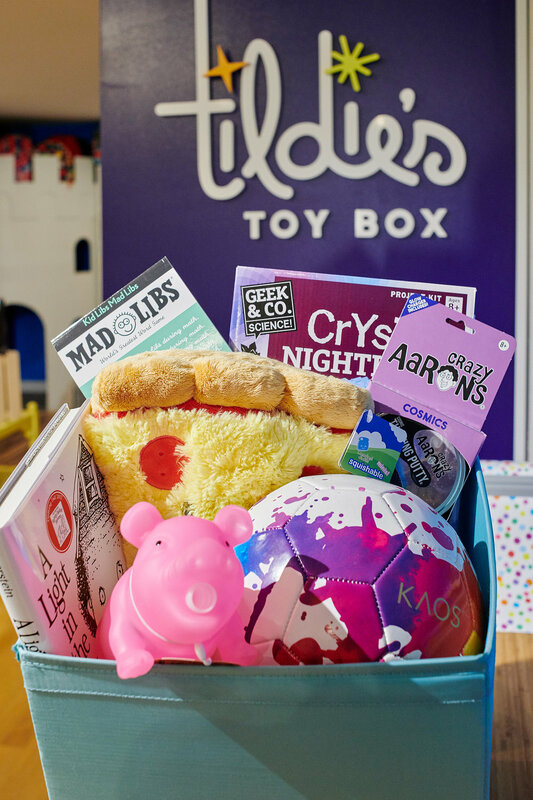 Let our knowledgeable staff help you pick out the perfect gift for your special little one for any age and budget. In a rush? Don't stress - we can pick something out and have it wrapped and waiting for you to pick up and head straight to the party! Call for details! 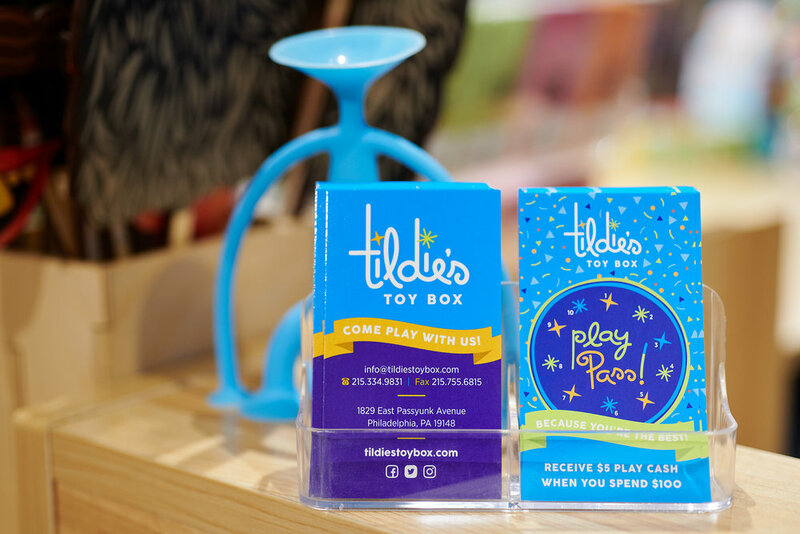 Kids know the secret that a Tildie’s Gift Card is more fun than cash! Even a gift card receives the Tildie’s signature complimentary gift wrap to make it extra special! We delight in making all things fun! 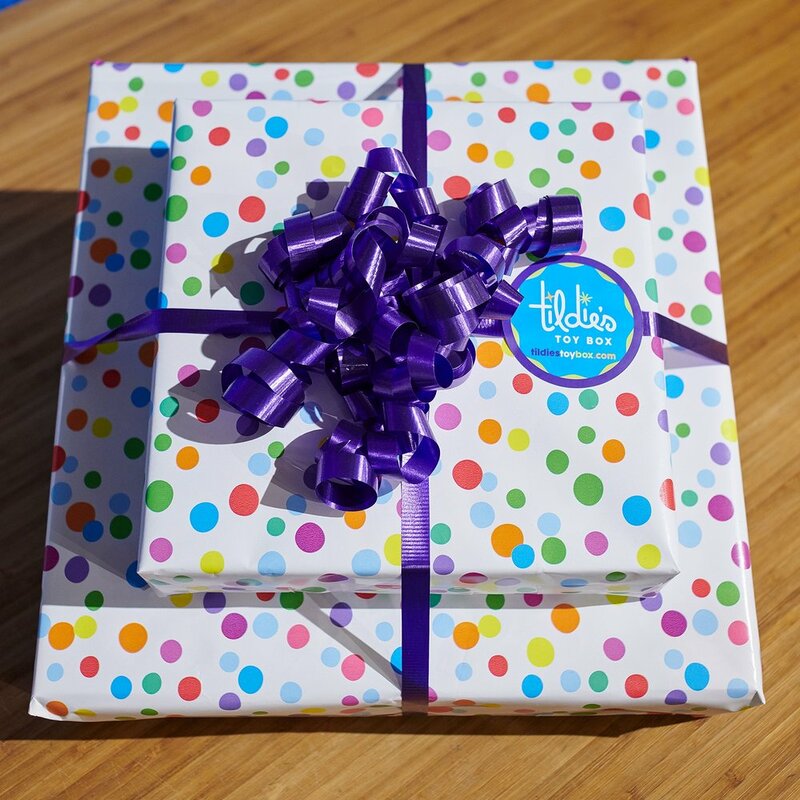 Our Tildie’s Team will prepare and wrap your party favors, making it hassle free for you! Simply stop in, email us, or give us a call to get started! Unavailable to visit us in the shop? Give us a call and we’ll arrange shipping or delivery to suit your needs. We make it easy! Additional charges may apply.